Hayao Miyazaki, creator of such classic and memorable films like Princess Mononoke, Castle in the Sky and Spirited Away, has adapted Mary Norton's 1952 novel, "The Borrowers" into a new film, while at the same time working to keep the feel of the book. Arrietty is a Borrower, a race of people only a few inches tall. She, like the rest of her family, go through life 'borrowing' things from normal-sized humans, but only those items they wouldn't normally miss. 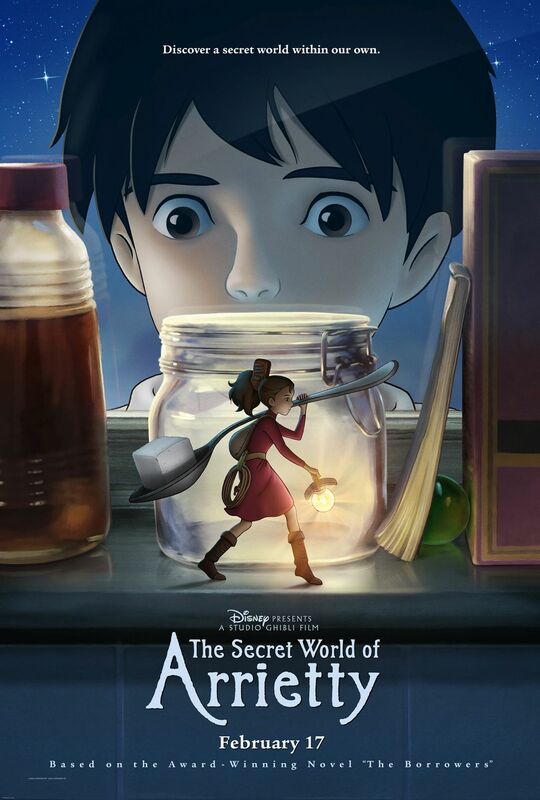 Life is pretty normal for Arrietty's family – just so long as they are not discovered, that is. But this changes quickly. While fleeing from a cat that attacked her, Arrietty is rescued by Shawn, a normal-sized boy who she quickly makes friends with. However, that friendship also puts Arrietty's family, not to mention other Borrowers, in danger from the rest of the world. How will they cope?